Alcohol Addiction • Alcohol Detox • Alcohol Treatment • AlcoholismIs Your Drinking Getting Out Of Control? Since alcohol is one of the most widely abused substances, many individuals across the U.S. find themselves unsure if whether or not they have become dependent on alcohol or if they have developed a bad habit of drinking too often and too much. There are various signs and symptoms that can depict whether or not you do, in fact, struggle with an alcohol abuse problem. 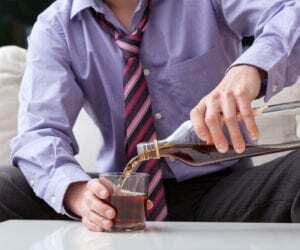 While some individuals can drink casually and control the quantity of alcohol that they consume, others simply cannot. Those who lack self-control when it comes to drinking alcohol cannot have just a few drinks; they drink excessively and compulsively until they are highly inebriated. These individuals may be suffering from Alcohol Use Disorder (AUD) which affects more individuals than one may seem. If you truly want to stop drinking alcohol but cave each and every time that you attempt to, you may have an alcohol abuse problem. Wanting to quit drinking but unable to is a sign that you may be struggling with a much larger issue that you initially thought. If you require a larger amount of alcohol in order to feel its effects, you may very well have an alcohol problem. If you notice that you can drink a significantly more amount of alcohol than you used it, you may be struggling with an alcohol issue. If you find yourself in unsafe and dangerous situations while you are under the influence of drugs or alcohol, this is a sign that you may have a substance abuse issue. If you continue this dangerous pattern, chances are that you need help for your alcohol use disorder. If your friends notice that your personality changes for the worse when you drink, chances are that you are not a good candidate for alcohol. Alcohol can affect individuals on a psychological level and can turn an individual violent. If every time that you drink alcohol you black out, have memory lapses or pass out, this could mean that you are struggling with alcohol abuse. This dangerous pattern can negatively affect the brain, not to mention that it is a very unhealthy lifestyle to live. If you are lying about the amount of alcohol that you consume or you are drinking in private, this is a sign that you may have a problem. Alcohol abuse doesn’t only affect the life of the individual, it also takes a toll on close family members and friends of the individual. This can take an unfortunate toll on the family that is closest to the individual. If you or someone you know is struggling with alcohol abuse, treatment is available. Individuals may have to go through a period of medical detox in order to successfully wean themselves off of the substance of abuse in a safe and controlled environment. The time to get help for your addition is now.